Former Hurricane Fernanda, July 24, 2017. 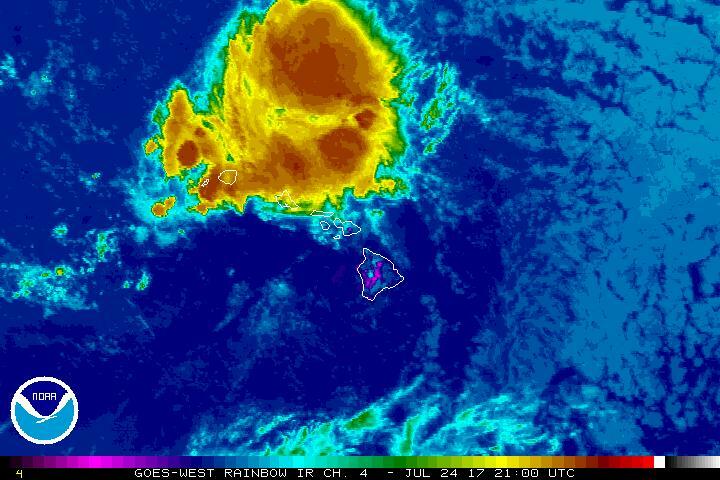 The remnants of Fernanda will move east to west across Oʻahu and Kauaʻi today, bringing with it the threat of heavy showers and thunderstorms to those islands, and mugginess to Hawai‘i Island and Maui. 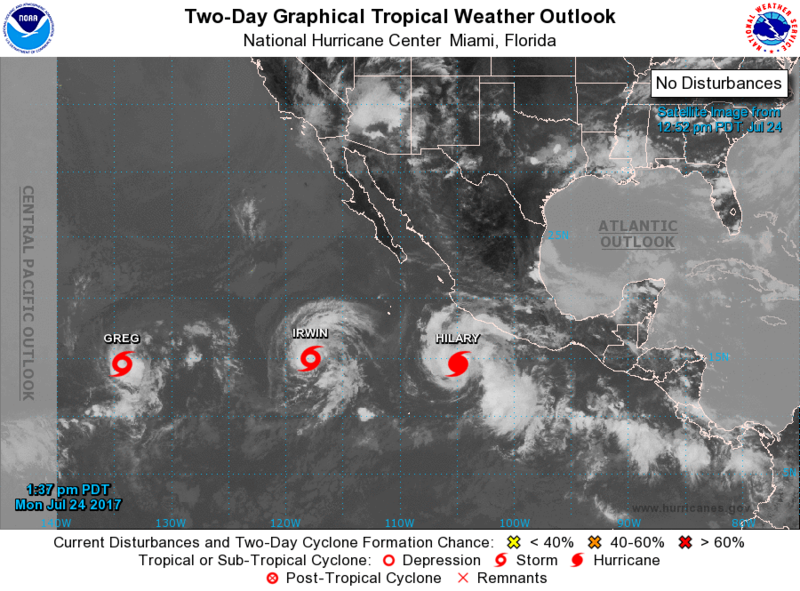 But more storms are brewing in the Eastern Pacific. Storm Irwin and Hurricane Hilary. So far in July, five named storms have developed in the area. (L–R) Greg, Irwin and Hilary. July 24, 2017. 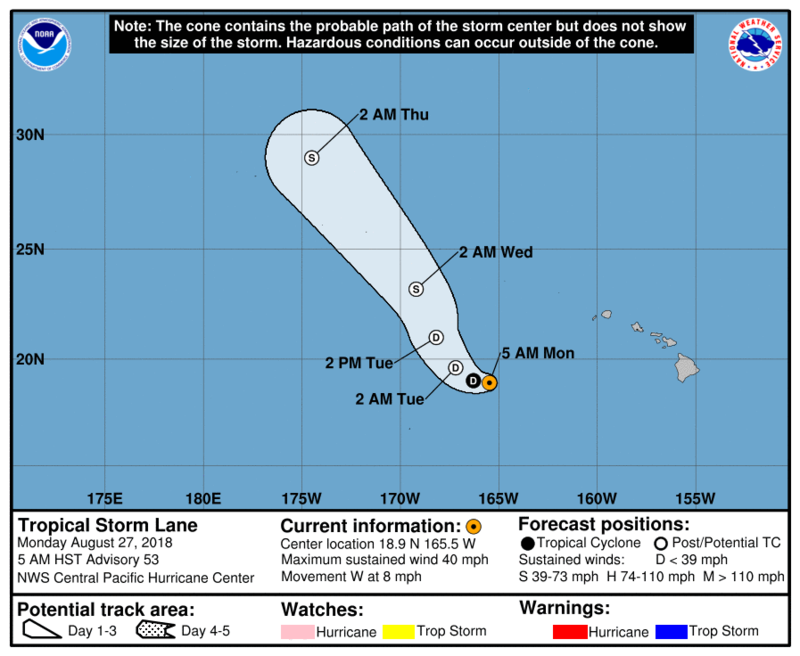 Tropical Storm Greg is centered near 14.5 N latitude and 134.3 W longitude at 11 a.m. this morning, moving W at 11.5 mph. Maximum sustained winds remain at 46 mph with gusts to 57.5 mph. Greg is expected to remain a minimal tropical storm through the next 36 hours or so, before weakening ensues. Greg could become a tropical depression by Wednesday, July 26, and a remnant low by the next day. UTC, moving W at 3.5 mph. Maximum sustained winds have increased to 63 mph with gusts to 74 mph. Irwin will remain in relatively close proximity to Hurricane Hilary during the next few days. Gradual strengthening is expected during the next 48 hours. 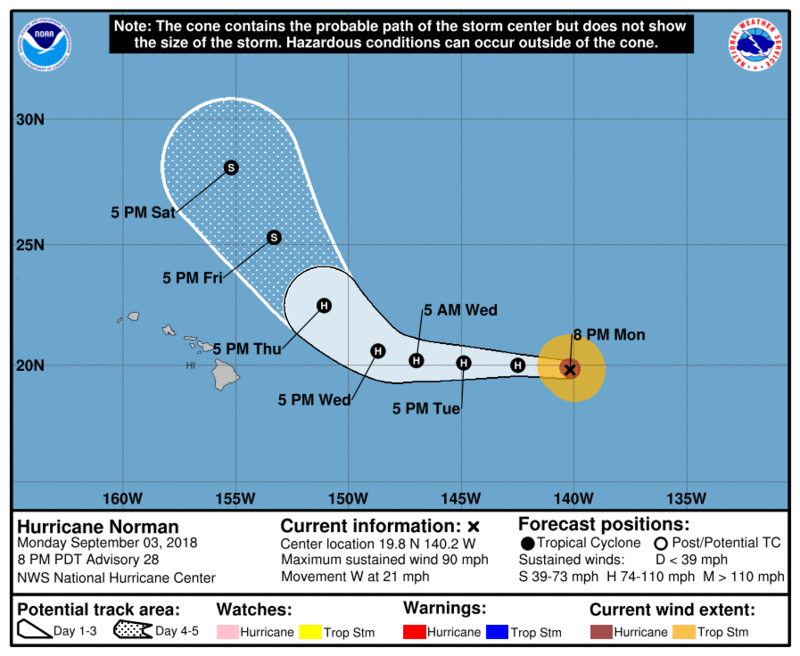 Irwin is forecast to become a minimal hurricane tonight or Tuesday. Hurricane Hilary is centered near 14.5 N latitude and 104.9 W longitude as of 11 a.m. Monday, July 24, moving WNW at 8 mph. Maximum sustained winds have increased to 86 mph with gusts to 103 mph. Continued strengthening is forecast during the next 48 hours. Hilary is likely to become a major hurricane on Tuesday as it continues on a WNW track for the next couple of days.